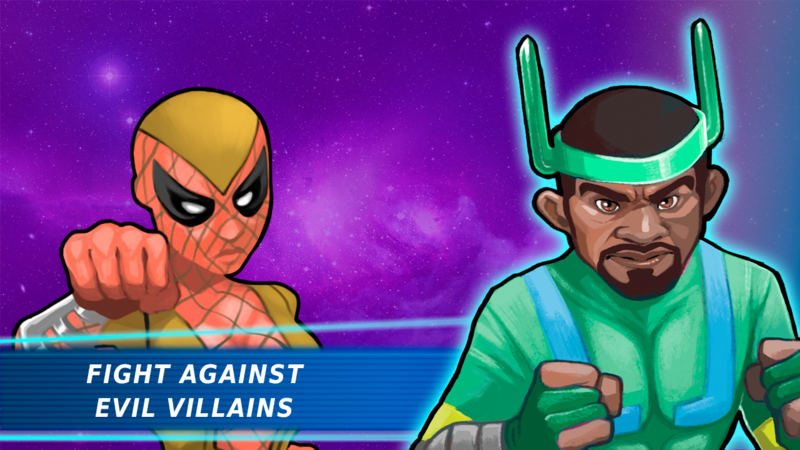 The true heroes are born in the street fighting, feel the power and strength in your hands, wielding a real fighting machine.It's your time to be the master of all superheros of history for FREE! Choose your favorite character, including more than 76 fighters, and compete in street fights, do not let them reach your opponent to avoid a KO.Enjoy the mortal fight to save the Universe in the ultimate street fighters videogame. Get all your favourite superheros, enhance their super powers and train them to be the most powerful beings in the Universe. Get your new heros! Wich fighting styles will you teach them this time? Spinning Karate kicks for the slippery Snake Tornado? The gigantic Toxic Avalanche crushing their enemies with MMA and Wrestling catchs? Or maybe you prefer to teach Boxing to Sea Surfer to watch him hit with his fists like a swarm? 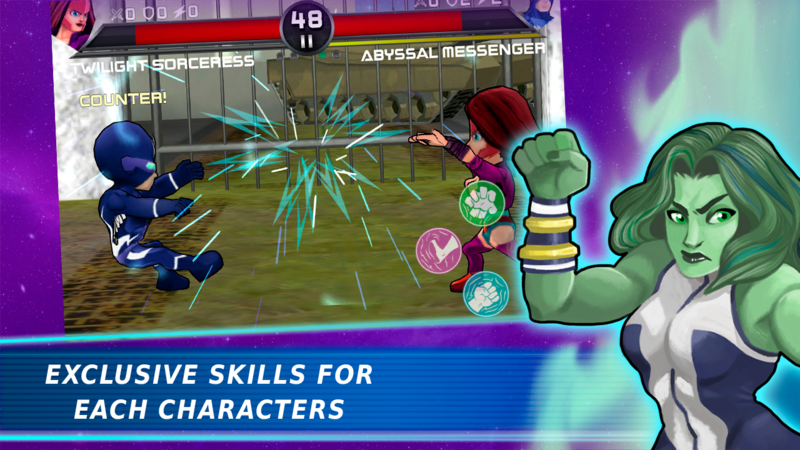 They are your heros: choose your favourite street fighting technique and test your skills with increasingly challenging combats. -Collect and upgrade all 76 superheros. 76 superheros to fight! -Learn new and brutal martial techniques. -Fight in 10 different and dynamic stages. -Duel against your enemy with Arcade Mode. 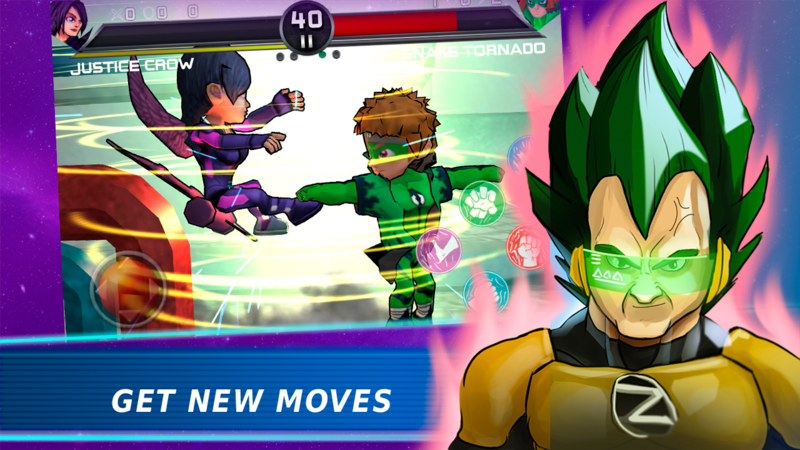 -Live a super street fight adventure with Story Mode. -Vibrate with its unique and frenetic original sound track and HD sound. -Play under any device with your saved game. 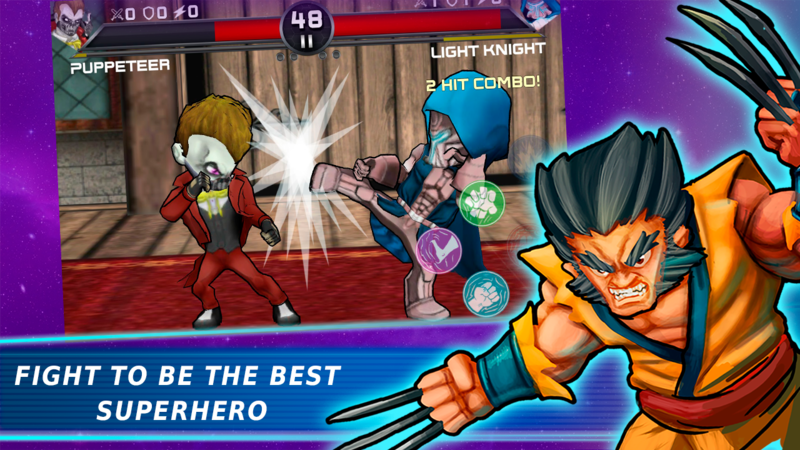 You can play and finish for free, since now, this superheros street fighting game in 2017. No need to pay thanks to advertisement. If you want, get rid of ads by buying any packet of Plutonium in the Super Store. You decide the way you want to enjoy, but you won't have less adventure in any case. 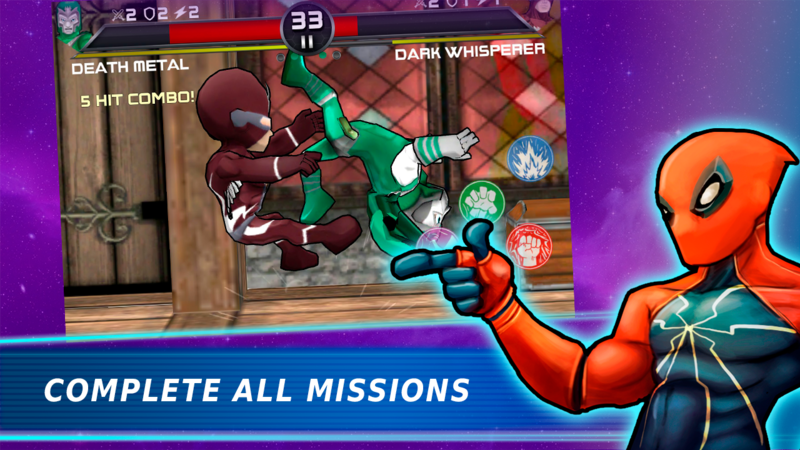 Enjoy the best free fighting game and take the control of world wrestling scene in a struggle to reach the final, thanks to the best free games of street fights of super heroes, feel the realism of combat as never before done. 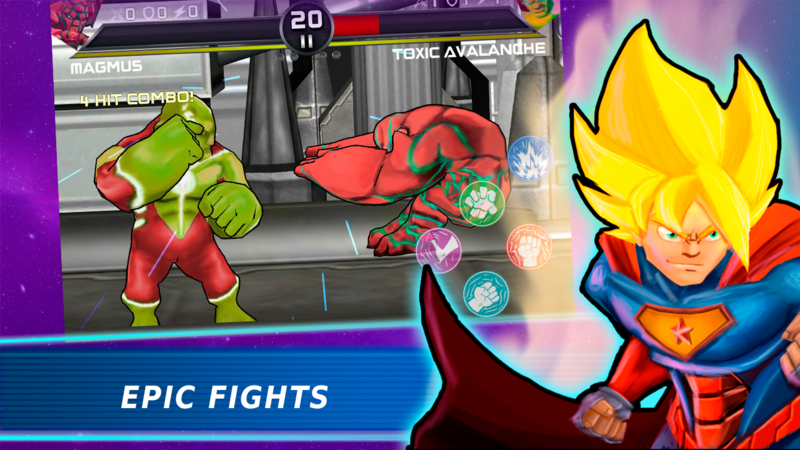 Note that this Superhero 3 free fighting game occurs in a fictional universe, it is not affiliated to any trademark and doesn't encourage any kind of real fight.